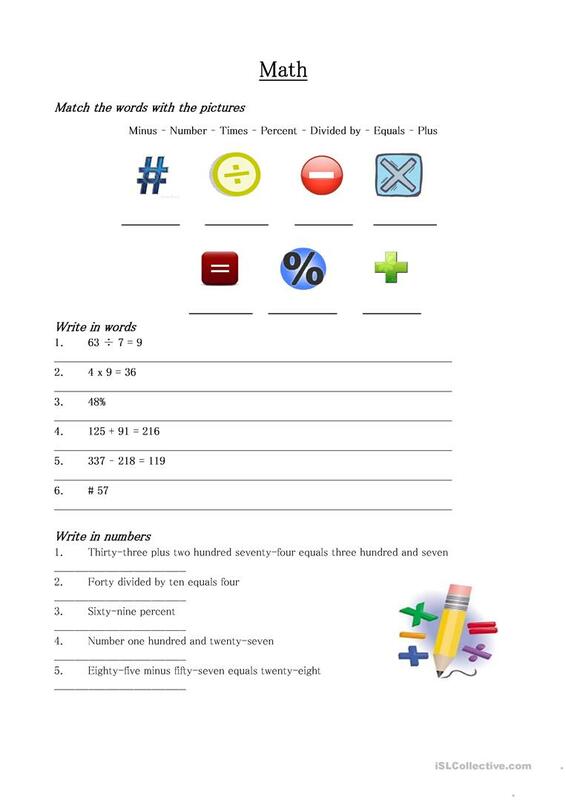 Match symbols with words, write the numbers and symbols in words and write the words in numbers. Math vocabulary: plus, minus, times, divided by, equals, number, percent. The above downloadable worksheet is a great resource for business/professional students, high school students, elementary school students, kindergartners and nursery school students and adults at Beginner (pre-A1), Elementary (A1) and Pre-intermediate (A2) level. It is useful for improving your students' Spelling, Reading and Writing skills. It features the theme of Numbers.